Being a senior should be celebrated not scorned. Being ready to actually contribute in the NBA or anywhere professionally should be the goal, not just get drafted or selected by a pro team. Many of the top seniors get it. A number of players who didn’t make it to senior year don’t always. Experience matters. Always has, always will. 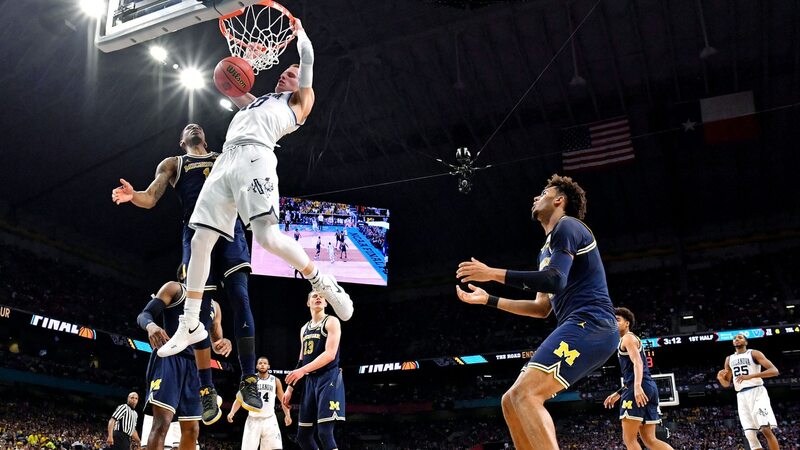 The experienced teams have reached the national title game consistently of late: Villanova, North Carolina, Gonzaga, Michigan and Villanova again. And that’s why being a senior this season will carry significant weight. Pairing down our list was not easy. This is a good year to be a senior — because there are a slew to highlight. 1. Ethan Happ, Wisconsin (17.5 ppg, 8.6 rpg): Happ came back to Wisconsin to get back to the NCAA tournament. He is one of the best under-the-basket players, able to use angles to do his work effectively in the post. He will be one of the most important players to his team this season. 2. Juwan Morgan, Indiana (16.5 ppg, 7.4 rpg): Morgan made it clear: it’s not if, but when, the Hoosiers make the NCAA tournament. He returned to ensure that happens. And he’ll do wonders next to stud Romeo Langford. Morgan has worked tirelessly to improve his game. He will be rewarded with what should be a fantastic senior season for himself and the Hoosiers. 3. Luke Maye, North Carolina (16.9 ppg, 10.1 rpg): Few Carolina players have improved over their careers as much as Maye. He has become a big-shot, big-game player for Roy Williams. That trend should continue. 4. Caleb Martin, Nevada (18.9 ppg, 5.4 rpg): Martin should be a player of the year candidate and can help lead the Wolf Pack to a Final Four. His versatility makes him even tougher to defend. Eric Musselman can lean on his experience in what should be a banner season in Reno. 5. B.J. Taylor, UCF (15.9 ppg, 3.2 apg): He played in only 16 games last season. Now healthy, Taylor has a real shot to be the AAC player of the year and lead the Knights to the NCAA tournament. The sleeping giant in Orlando is fully awake. 6. Dean Wade, Kansas State (16.2 ppg, 6.2 rpg): Wade missed out for the most part on the Elite Eight run, barely able to play in only one game (Kentucky) of the four NCAA tournament games. With Wade, the Wildcats are primed to challenge Kansas for the Big 12 title. 7. James Palmer Jr., Nebraska (17.2 ppg, 4.4 rpg): Palmer came back to lead the Huskers to the NCAA tournament. He has the goods and the help. Palmer could also be in contention for Big Ten player of the year. The Big Ten senior class is loaded, and Palmer is one of the many who can compete for the top honor. 8. Mike Daum, South Dakota State (23.9 ppg, 10.3 rpg): Daum is a double-double machine for the best-named team in the country — the Jackrabbits. Daum should get SDSU back to the NCAA tournament and this time, yes this time, get a first-round win. 9. Jordan Murphy, Minnesota (16.8 ppg, 11.3 rpg): Murphy is the definition of a double-double player. He is a lock for it every time out. The Gophers had an injury-riddled/chaotic Big Ten season. Murphy is a positive constant that will settle the Gophers and give them a real shot to get back to the NCAA tournament and reach their potential. 10. Quinndary Weatherspoon, Mississippi State (14.4 ppg, 6 rpg): Quinndary flirted with the NBA draft but he clearly needed to come back. And his return is the reason the Bulldogs have real hope that they will be a threat in the SEC and get Ben Howland’s crew to the NCAA tournament. 11. Eric Paschall, Villanova (10.6 ppg, 5.3 rpg): Paschall will increase his load significantly with the departure of Omari Spellman. So, watch those numbers climb, and his impact on the Wildcats’ quest to win another share of the Big East and make a Final Four run. What’s next for @NovaMBB forward @Epaschall4? 12. Clayton Custer, Loyola-Chicago (13.2 ppg, 4.1 apg): Custer burst on the national scene with the Ramblers’ sensational Final Four run. Custer is no longer a hidden gem. He’s a college star who will help the Ramblers win the Valley again and get back to the NCAA tournament. 13. Bennie Boatwright, USC (13.6 ppg, 6.4 rpg): Boatwright is a matchup nightmare for opposing coaches. He is the ultimate stretch forward who will change the direction of the Trojans if he stays healthy. USC was short of the NCAA tournament last season. If Boatwright has the banner season possible, then they shouldn’t miss out in March. 14. Jessie Govan, Georgetown (17.9 ppg, 10 rpg): Govan will help get Georgetown and Patrick Ewing into the NCAA tournament. Book it. Govan will be the go-to Hoya, and with Ewing’s leadership, can become even more of a complete player. 15. Charles Matthews, Michigan (13 ppg, 5.5 rpg): Matthews debated about whether to stay in the draft. Good thing he’s back. He can make a significant impact on the Wolverines and on his chances to be a contributor at the next level. Matthews gives the Wolverines the needed experience they will covet with such a young crew. 16. Marcquise Reed, Clemson (15.8 ppg, 4.7 rpg, 3.3 apg): Reed was one of the more under appreciated guards last season. The Tigers had to deal with a slew of injuries (Donte Grantham and for a few games Shelton Mitchell) but Reed was the constant anchor for Brad Brownell. He’s back to keep the Tigers challenging near the top of the ACC again. 17. Josh Perkins, Gonzaga (12.3 ppg, 5.3 apg): Perkins will go down as one of the most successful Zags, not for his overall production, but for his winning. Perkins is a winner. The Zags have the talent again to challenge for the national title. Perkins’ stabilizing presence on the floor is a major reasons why. 18. Justin Robinson, Virginia Tech (14 ppg, 5.6 apg): Robinson is ready for everyone to know his name outside of the ACC. The Hokies should have the best season under Buzz Williams. Robinson will be one of the main reasons you will be penciling in the Hokies into your bracket in March. 19. Matisse Thybulle, Washington (11.2 ppg, 2.9 rpg): Thybulle is the top defender in the Pac-12. If Washington is to win the Pac-12, then Thybulle’s defense along the Mike Hopkins’ zone will be one of the main reasons. The Huskies are experienced and at ease now with the Hopkins system. That all bodes well for a sensational season in Seattle. 20. Fletcher Magee, Wofford (22.1 ppg, 2.9 rpg): The 27 points Magee scored in the upset at North Carolina was no joke. He’s a prolific scorer who should get the Terriers to the top of the Southern Conference. This team would have been a dangerous out in the first round last season. Magee should get a March moment, not just a non-conference one, this season. 21. Jon Elmore, Marshall (22.7 ppg, 5.8 rpg, 6.8 apg): Elmore is Mr. Everything for Marshall. He had himself a game in the 27-point upset-leading effort to knock off Wichita State in the NCAA tournament first round. Expect more of the same from him this season where Marshall will be the team to beat in Conference USA. 22. Terance Mann, Florida State (12.5 ppg, 5.2 rpg): The beauty of a Leonard Hamilton team is that no player has to be the lone go-to guy. Mann is one of many who can make major contributions without the pressure of always having to deliver. Mann’s versatility will come in handy on a team that is loaded with options. 23. Jordan Caroline, Nevada (17.7 ppg, 8.6 rpg): Caroline is a go-to option for the Wolf Pack on a team that can rotate multiple versatile players in key moments. Musselman can lean on Caroline if an offensive play breaks down. He’s a go-get you a bucket guy. 24. Phil Booth, Villanova (10 ppg, 3.2 rpg): The impact of Booth’s leadership can’t be measured. He will give Villanova’s stud group of newcomers the guidance needed to shepherd them through the early stretch of the season. Booth will be the reliable one late in the season when the need is greatest. 25. Tacko Fall, UCF (11.3 ppg, 7.3 rpg, 1.9 bpg): No player can affect a shot more than Fall. His towering 7-6 presence changes the game every time he steps on the floor. He is healthy again. Here’s hoping he stays that way all season long. Jalen Adams, UConn (18.1 ppg, 4.7 apg). Jalen Hudson, Florida (15.5 ppg, 3.9 rpg). Otis Livingston II, George Mason (17.3 ppg, 4.4 apg). Corey Davis Jr., Houston (13.1 ppg, 3.1 rpg). Barry Brown, Kansas State (15.9 ppg, 3.2 apg). Marques Townes, Loyola-Chicago (11.1 ppg, 4 rpg). Cody Martin, Nevada (14 ppg, 6.3 rpg). Vasa Pusica, Northeastern (17.9 ppg, 5.1 apg). Vic Law, Northwestern (12 ppg, 5.8 rpg). Rex Pflueger, Notre Dame (8 ppg, 4.3 rpg). Frank Howard, Syracuse (14.4 ppg, 4.7 apg). Admiral Schofield, Tennessee (13.9 ppg, 6.4 rpg). Dylan Osetkowski, Texas (13.4 ppg, 7.2 rpg). TJ Shorts II, UC Davis (14.8 ppg, 4.4 apg). Noah Dickerson, Washington (15.5 ppg, 8.4 rpg). Markis McDuffie, Wichita State (8.5 ppg, 3.1 rpg). Justin James, Wyoming (18.9 ppg, 6 rpg).